Hey everyone! 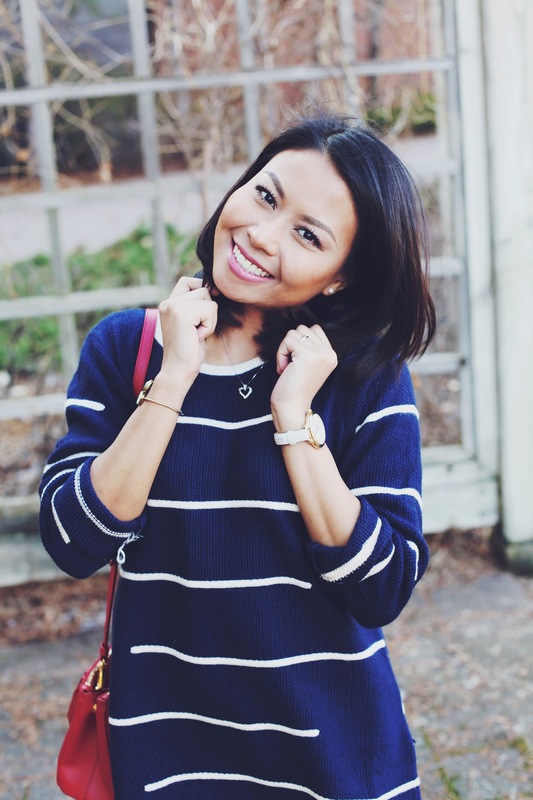 Today's post I am sharing this very cute sweater from Korean Style, love the stripes and it's so comfy!! Also, did I mention its only for $13.91? Yes, it's super affordable and will be a great addition to your wardrobe! Now the weather is starting to warm up in MN (hope it stays until summer time!) I am loving the sweater weather outfits! 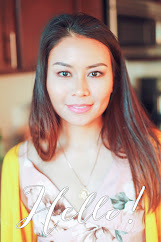 I love browsing Instagram and Pinterest browsing other styles and other fashion bloggers outfits! If you are on Instagram, feel free to holla me and I can check out your feed. 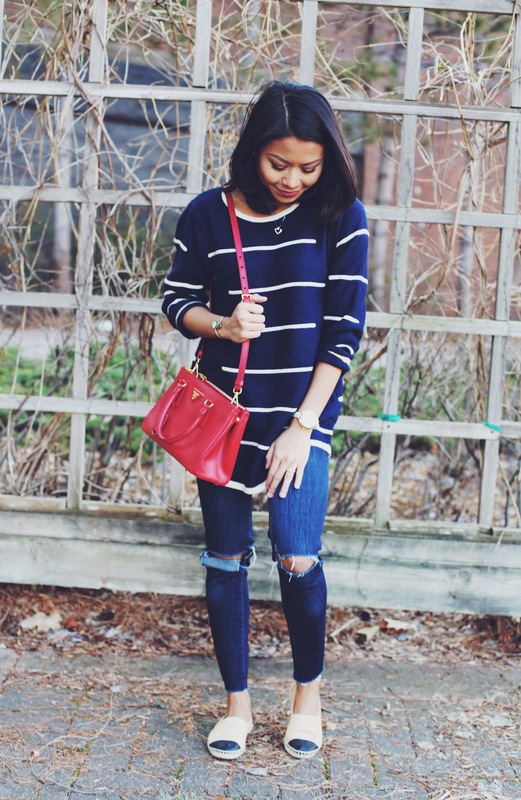 Ahh I love a good navy stripe anything! Love the sweater, you look gorgeous in it! Perfect look!! Love the sweater, the shoes are fab!!!! Super cute and chic!! love the chanel! 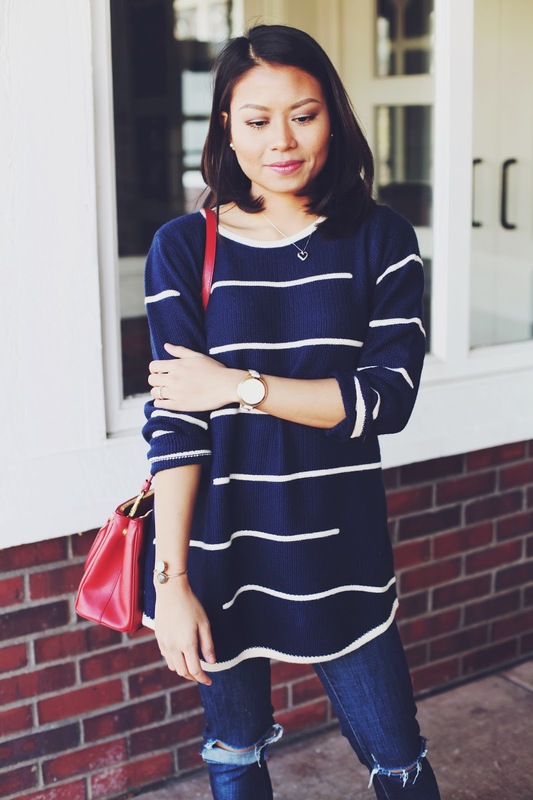 Love the way you pull off stripes!!! 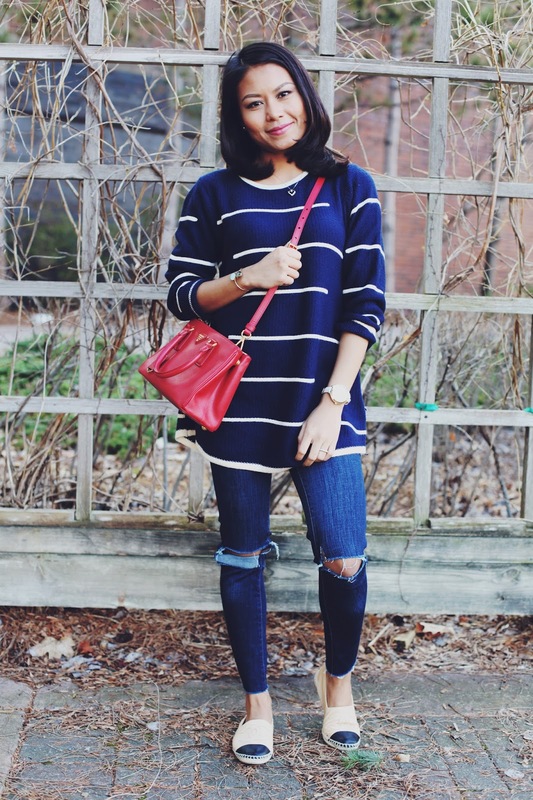 Your smile is gorgeous girl, and your handbag is killing it! 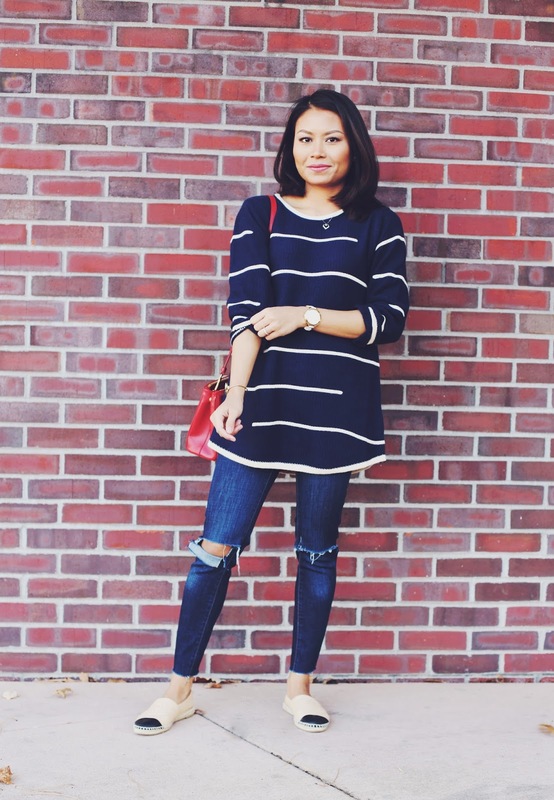 I love everything striped, your outfit is really amazing! You look amazing! I love this bag! This is such a lovely, chic and stylish pairing, girlie! 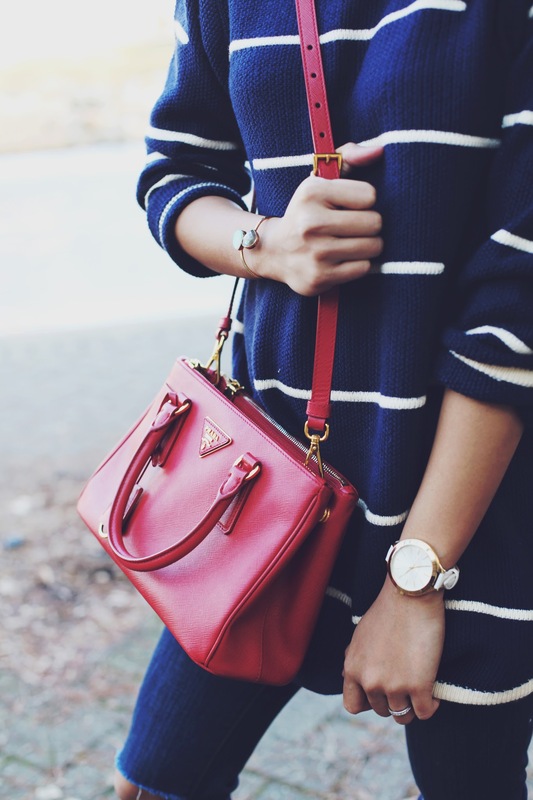 I adore your sweater and it looks fantastic paired with that lovely Prada bag and those Chanel flats, swoon! Thanks so much for sharing and I hope you're having a great day so far, beauty! Such a cute look!! I love the top! I love how this look is perfectly equal parts lux and laid back. The bag is adorable - I love the color! Love the sweater. And the espadrilles. Looks amazing together! Amazing combination! Lookin gorgeous as ever! nice outfit! I really love your jeans! Super cute outfit! 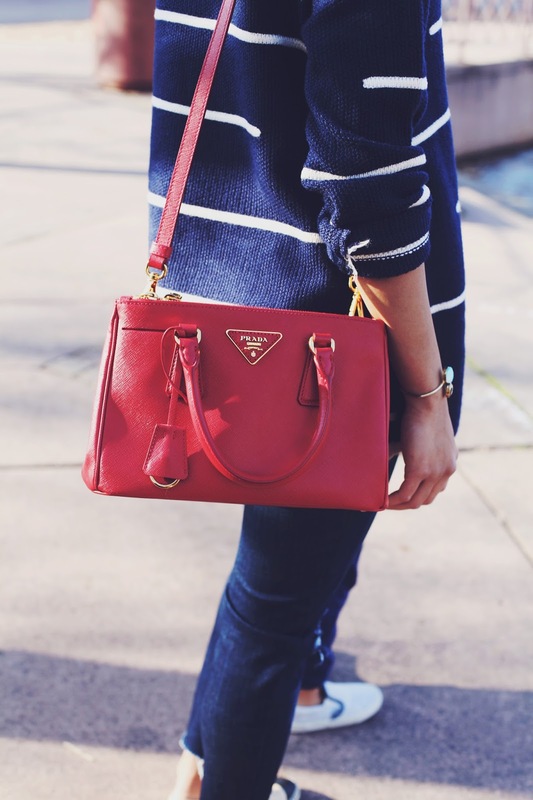 Love the pop of red with your bag! I want your purse! 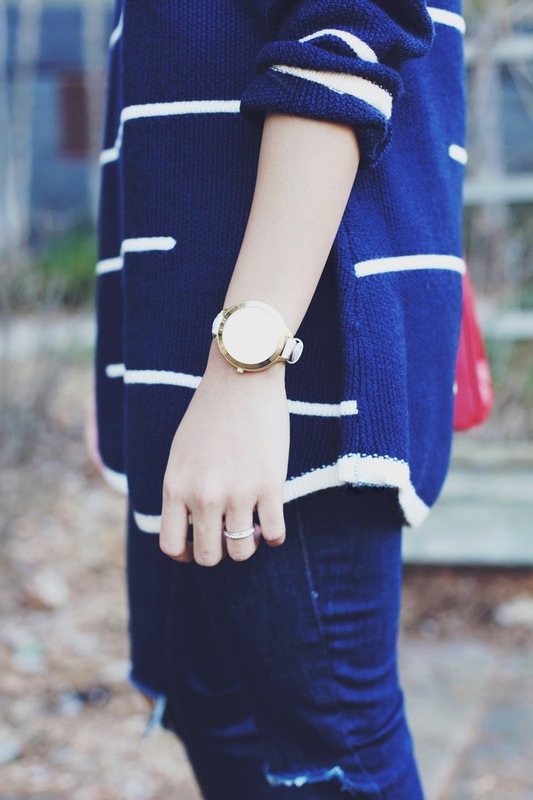 Perfect pop of color. Oh I love this sweater! These are the kinds of pieces I'm trying to invest in because you can wear them year round. You look gorgeous! perfect outfit from head to toe! Love those shoes !! The look is awesome, love casual looks! And that sweater is really pretty!! I adore this chic and comfy style! 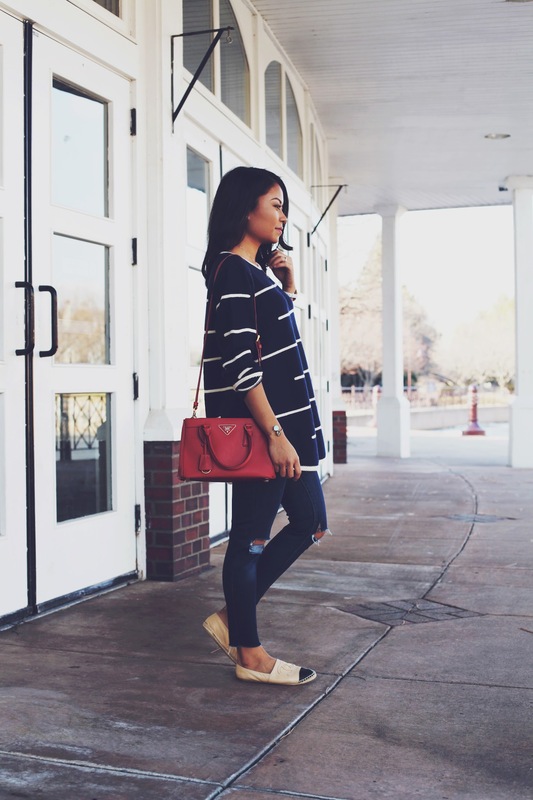 Those espadrilles and striped sweater go together so well! Love it! Such a chic look!